I was given this book for review by the author in exchange for an honest review. When Parker Welsh sells Mitch Knight his organic restaurant, Willows, he not only gives Mitch ownership; but everything entangled with it. Including the annoying pastry chef who supplies the muffins and cupcakes. Hayley played by her mother’s rules for the first eighteen years of her life, instead of heading to college as her family expected, she rebelled and opened a bakery, Pieces of Heaven. Her family expects her to fail and head back to school and their wish may come true once Parker sells his restaurant to the handsome, arrogant Mitchel Knight. It’s either join forces with him or lose her dream. "I have too many stupid quirks, don't I?" Not many know about them, in fact, no one knows all of them, except, Mitch. He seems to have learned more than I care for and if I don't keep my guard up I'm going to fall for him, then crash and burn. "Oh, sweetheart, you're deep inside my territory already," Mitch says with a smile. "There's no way out, you're right inside the maze of Mitchel Knight, just like I think I'm making my way inside the maze of Hays maze, there, found another. That''s when I realized that you deserved better than a casino wedding in front of Elvis with a drunken guy who had no idea what love is.... until he fell flat on his face for this beautiful, smart, list-maker girl. If you remember, I promised that once you find the right guy, I'll make sure you had that dream wedding. Coincidentally, you said it that night...that you were ready. That's huge, Hayl, that means you're in love. You don't take those steps lightly..you never took that step. You handed me your heart; I had to do the same. 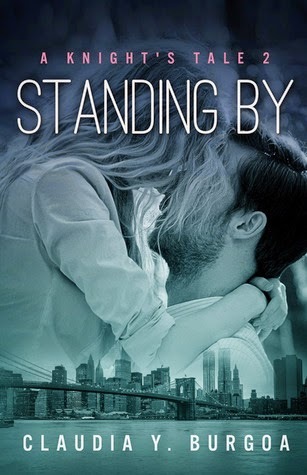 Standing By is just one of those books that crawls into your heart before you even know it. It grabs your attention with its fun loving characters, instant physical attraction and humorous one liners. This is just one of those reads you will continue to remember, long after you have turned the final page. It wasn't love at first sight for Mitch and muffin girl (that's just one of the infuriating nicknames Mitch thinks up to play with Hayley), Mitch was all about fun, nothing like love would hold him down or catch him off guard again. He is care free, family devoted and women only when he needed his fix. That is all pre Haley. Hayley isn't your typical damsel in distress, although with her dysfunctional family, she could sure use some saving every now and then. Hayley runs her own business, makes her own decisions and doesn't need any man to come in and sweep her away from anything. She is tough on the outside because she has brothers that are constantly berating her, a father who is constantly stopping by to make amends with her for her childhood and a mother who makes her feel that she will never, ever be quite good enough. The chemistry between Mitch and Hayley was pure fire from the beginning. You couldn't help but get caught up in their conversations, witty banter and friendship. They both weren't looking for anything more than some fun spending time together. Mitch joins Hayley at her pastry shop one morning to see how her desserts can benefit his restaurants. He has just recently bought Hayley's brother Parker's restaurant and the pastries in Hayley's shop are her main source of business. But when situations test their friendship will they admit its more or will one of them walk away? There is just something about the Knight brothers that just makes any girl **swoon**. They are handsome, family oriented and in amazing physical shape. Plus they all seem to be easy on the eyes. Every girl will have a picture of her perfect man while devouring this book. I know I had many versions of mine. The first book in The Knight Brothers series focused on Emma and Jake but we still get a good taste of Mitch and how he takes care of what is his. I for one was beyond excited when I realized "Standing By" was Mitch's love story. I couldn't wait to get into it! Just another beautifully told story by Claudia Burgoa. Her writing gets me every single time. She really works hard to make the reader fall in love and also come to sympathize with her characters too. Every single one of them captures your heart in some unique way. I'm hoping Claudia plans on continuing on with this series of the Knight brothers. A book I found sweet, romantic and light hearted. 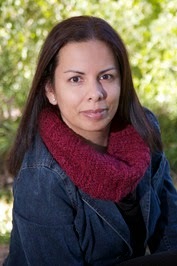 If you haven't read any of Claudia Y. Burgoa's books, what are you waiting for? Pick this one up, you won't be able to put it down.